In their first 2017 match against a USAFL opponent, the St. Petersburg Swans controlled play from the opening bounce, running out 22.14.146 – 6.2.38 over a scrappy and gallant Miami Saints side Saturday at Four ‘N Twenty Field at Campbell Park in downtown St. Pete. 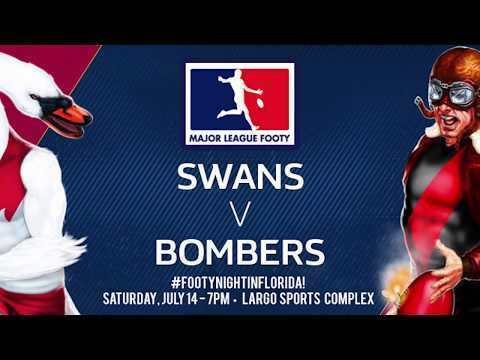 The Swans are now 3-1-1 in their last five USAFL contests, dating back to the 2016 USAFL National Tournament, where the club advanced to the D4 Grand Final. 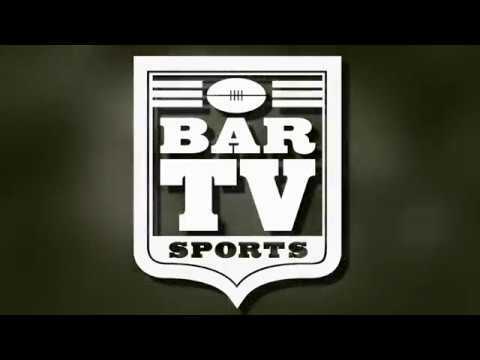 With league pundit Brian Barrish forecasting a promotion to D3 play in 2017, St. Petersburg was eager to put its best effort forward in hosting the 10s side of cross-state mates Ft, Lauderdale – and also eager to correct an offense that had been lethargic in the early goings of the 2017 season. Although missing the services of 15 veterans – including Senior Coach Dustin Jones, who is preparing for the USAFL Revolution USMNT camp next weekend – St. Petersburg won play from the start and maintained pressure throughout – encouraging signs as the Bloods head into upcoming challenges in Baton Rouge and Nashville. Fueled by strong midfield play from Kyle Roun, Basil Benjamin, Pat Bilder and Ken Scheidt and huge output from a frontline of Austen Kugler, Jake Keglor and Aaron Crittenden, the Swans jumped out to 64-point advantage at the big break. That margin included shutting Miami out completely in the 2nd frame. After a fiery intermission talk by Ft. Lauderdale club founder Cameron Pinnock, the Saints came out of the break with a renewed attack and disciplined approach, as savvy veterans Anthony Colarusso and Gavin Caddy guided the young Saints to the first two majors of the second half before St. Pete regained momentum and scored the stanza’s final 29 points. As Greg Bray captained the Bloods back to life in the fourth period, St. Pete amassed a 7.4.46 – 3.1.19 edge, although that tally doesn’t accurately portray Miami’s impressive second-half fight. Newcomer Jeremy Tartt was most impressive in his debut on the St. Petersburg backline, with Danny McDonald also contributing a solid performance in his season debut. Youth players Jackson Bray and Amaran Subramanian made the very most of their minutes as well, with both making outstanding plays in the effort. Leading scorer Jake Keglor added to his tally with a several long-range majors on the evening. The St, Petersburg Swans return to practice Thursday evening at 6 PM, with the next full training Saturday, April 29 at 10 AM – on the Rollbotto Oval on the Common at Crescent Lake in St. Petersburg. The next Swans match is May 6 at Baton Rouge.